The dense tropical rainforest of the Caribbean Coast makes for an incredible wildlife habitat easily accessible from one of our Puerto Viejo Nature & Eco Tours. 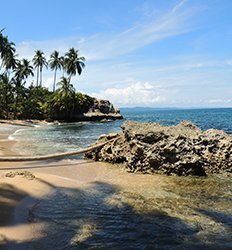 For those who like to explore on foot, our top selling nature tour in Puerto Viejo is the snorkel & hiking tour in Cahuita National Park where you are pretty much guaranteed to find howler monkeys, sloth and a variety of tropical birds hidden throughout the protected park. 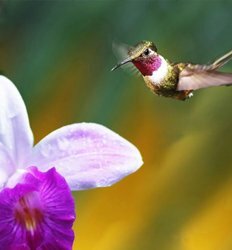 Birding enthusiasts who can rise early will appreciate the Birdwatching Tour at Kekoldi Indian Reserve where you can find some of the best birdwatching in Costa Rica. 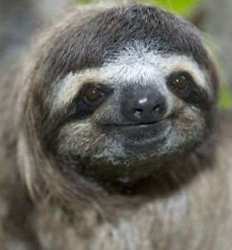 Want to meet Costa Rica's wildlife eye to eye? 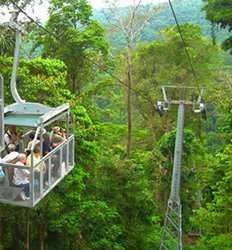 What better way than from the comfort and safety from a gondola high up in the Talamanca rainforest on the Veragua Aerial Tram. 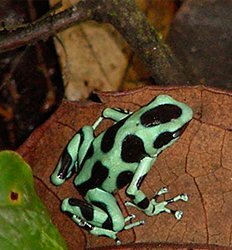 At the Veragua Rainforest Park you can also spend time getting to know the hundreds of species of butterflies found here and meet Costa Rica's colorful frogs in their extensive exhibits. 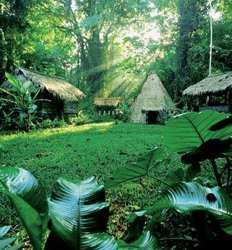 The Caribbean region also offers several eco tours by boat in Costa Rica worth exploring. 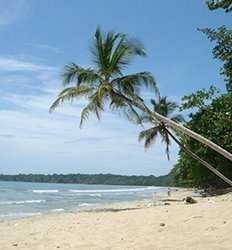 Just south of Puerto Viejo you will find Punta Uva with its rich eco-system from both both land, sea and navigating up the Punta Uva River. Easily one of the best eco tours in Puerto Viejo, we recommend the Punta Uva River Kayaking, Sea Kayaking and Nature Hike to get the best experience paddling your own kayak. 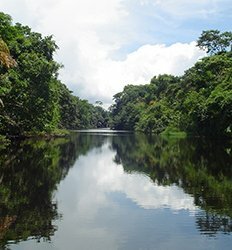 If you really want to experience a nature tour exclusive to the Caribbean region of Costa Rica, we highly recommend one of the Tortuguero tours where you can explore the wildlife intense canals via a comfortable safari boat. 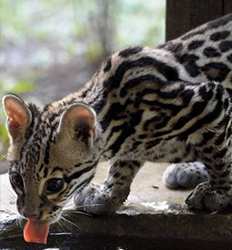 If you are wanting to get up close and personal with some of the wildlife, but not too keen on adventurous exploration, head to one of the wildlife preserves such as the wildly popular Jaguar Rescue Center or Sloth Sanctuary where you have the opportunity to interact with some of Costa Rica's prized animals in a safe and friendly setting. 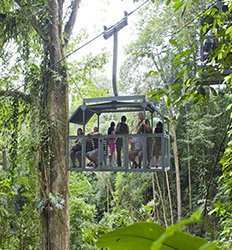 Explore the Caribbean Coast by boat, the Talamanca rainforest by aerial tram or hiking through Cahuita National Park: Choose your favorite Nature & Eco Tour in Puerto Viejo and immerse yourself in Costa Rica's wild side! 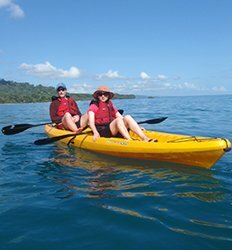 Seek out turtles from your sea kayak in the Caribbean, glide your kayak silently past crocodiles in the river as sloths sleep in the trees above and hike through the Costa Rica rainforest surrounding Punta Uva. Sound like fun? Our Punta Uva River Kayaking, Sea Kayaking & Nature Hike is ecotourism in Costa Rica at its best! 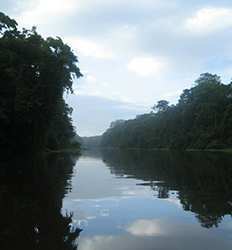 Punta Uva River Kayaking, Sea Kayaking & Nature Hike deposit is $10.00 per Adult and $5.00 per Child. Costa Rica is known for its conservation efforts, turquoise blue Caribbean waters, & lush tropical jungles. Our Jaguar Rescue Center + Punta Uva Kayaking Tour allows you to experience all three of these incredible activities in one action-packed day in Puerto Viejo. Perfect for the entire family, we offer this combo at a discounted price! 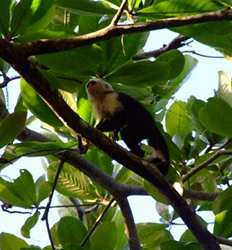 Caribbean culture and Costa Rica's abundant wildlife combine to bring you this complete one day tour from Puerto Viejo. Get a front row seat to the incredible flora and fauna that call the Tortuguero Canals home, and visit a banana plantation to learn about the history and culture behind one of Costa Rica's top exports. Experience the very best that the Pacuare River has to offer on land and water while immersing yourself in the beautiful Costa Rican culture! Our Pacuare River Rafting, Hike, & Indigienous Visit is an incredible 3 day tour that you will never forget. So why hesitate? Book your Discount Rafting Pacuare, Hike & Indigenous Visit 3 Day now! Pacuare River Rafting, Hike & Indigenous Visit 3 Day Tour deposit is $50.00 per Adult with with the Standard Package. This tour departs between 5:30 - 6:00 AM.